“IoT Ignite” service has innovative solutions for IoT Service providers to deploy, manage and monetize their services. 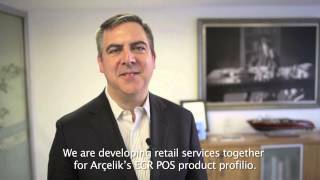 ARDIC provides not only the service but also incremental revenue and cross-selling opportunities in the eco-system. Unique application development environment supports largest development ecosystem in the World. Start to build your IoT Service by using our IoT Ignite services- very easily! Choose your gateways’ operating system without depending any specific gateway vendor and get connected to IoT Ignite. Supported gateway connectivity based-on operating systems; Android, Yocto, WindRiver. Develop your IoT Service with REST APIs of IoT Ignite. Use IoT Verticalization App Store to sell your IoT Service or purchase a 3rd party application to use with connected gateways. Do you want to create your own user experience and own graphics of your analytics tool without any limit? Integrate IoT Ignite REST APIs. Tremendous data collection of your services will benefit you to use Data As a Service and determine your customers’ tendencies and needs, to design products, to design services and to plan maintenance operations and more..